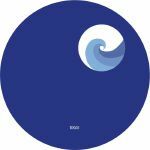 Review: Edward's graceful take on modern house and techno is a perfect fit for Trelik, and the German producer sounds comfortable as he unfurls swooning threads of otherworldly music for the tripped out dancefloor. The "Ogermania Mx" of "Mikko" is a hazy, string soaked affair pitched somewhere warm and dreamlike, but there's plenty of energy churning away in the lower register. "Lottery" is a more twitchy affair for darker times, all moody bass bounce and looming drones around a shuffling set of percussion. "Groaning Ghosts" is the techiest of the bunch, and there's a whole lot of freaked out sound design swirling around in the mix as well. This is simply stunning, highly advanced dance music from a modern day maestro. Review: Doing things properly and building up a DIY phenomenon from their base in Zurich, the Les Points crew have brought a fresh, daring originality to the house and techno scene with their gritty outboard approach and a wide range of stylistic tendencies. 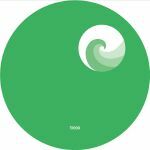 Taking a break from releasing on their own label, Audino, Barbir, Louh and Nicola Kazimir have been invited to the evergreen Trelik to broach their music to a wider audience. From the blissful space techno groove of "Anubis" to the tightly wound beats of "Housepacer" and on to the cranky acid funk of "Ripstyle", this is yet another distinctive transmission from the plucky Swiss crew. 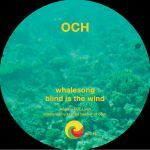 Review: REPRESS ALERT: Trelik reach into their recent archives with a much needed repress of Whalesong, the label's 2011 debut from UK producer OCH. With a compulsive passion for the dying art of crate-digging combined with a love for modern synthesis techniques the now Sweden based OCH manages to put together a 12" that could easily be described as psychedelic Chicago. "Whalesong" is a pulsating floor work-out which references the US greats whilst building an emotive sub-aqua soundscape. 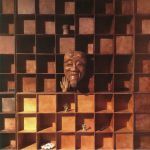 "Blind is The Wind" follows with a sneaky chord driven spoken interlude which creates an air of tension before climaxing into "Last Chance Saloon".